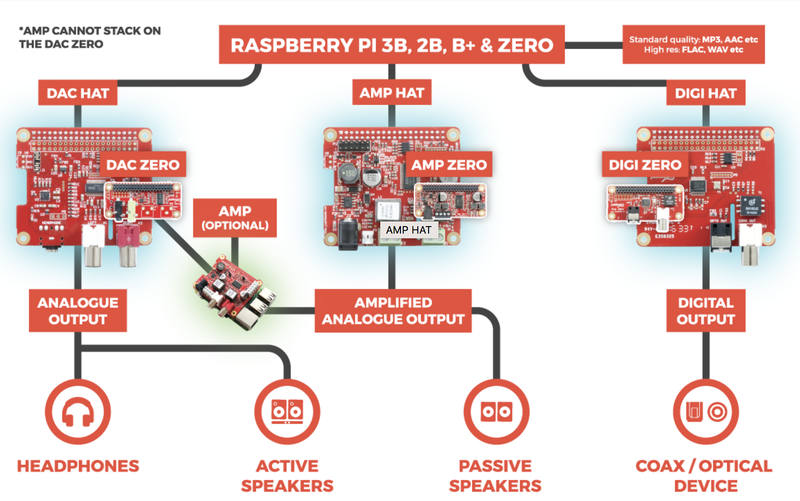 My, my, hey, hey lossless audio is here to stay thanks to JustBoom, a set of Raspberry Pi “hats” that connect to the mini computer and offer high fidelity audio playback and amplification. The $24 hats include a lossless DAC, a mini-amplifier, and a high-resolution audio output with COAX and optical audio out. If you, like Neil Young, require the utmost fidelity in your music playback these three low-cost solutions should at least let you play back your lossless music files without much fuss. Obviously you can’t carry around a couple bare circuit boards so you can either buy or 3D print a case for your little semi-portable DAC unit. What would it take to turn this into a Pono? Well, presumably you’d need a little power supply and LIPO battery, some kind of screen, and an input system to make it portable. If you wanted to remain at your desk you could also use this screen-less kit. The whole thing requires a little bit of Raspberry Pi know-how as well, so be sure to keep on searching for that Ogg of gold. Basically this looks to be the start of a fun if complex DIY project but it may be worth it to hear Harvest Moon in its full 32-bit glory.